Whether you’re celebrating Galentines or Valentines day, this list has you covered. 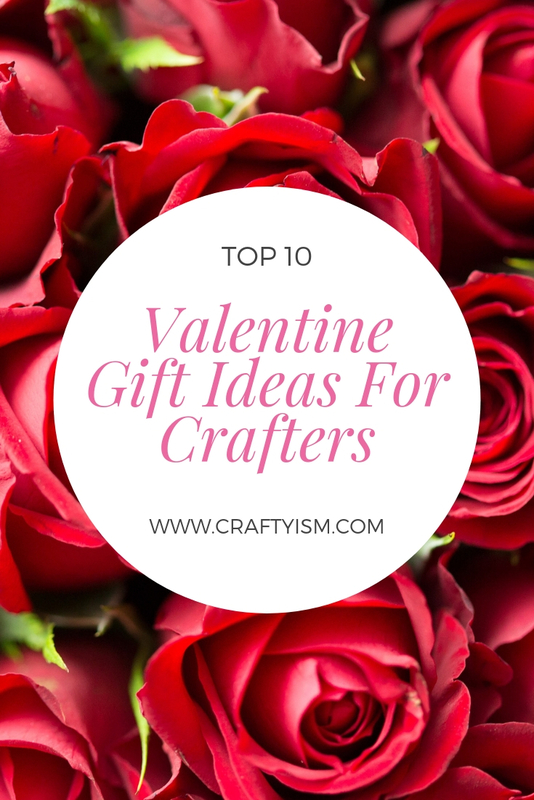 Forget flowers and chocolate, if you have a crafter to buy for, get them something they’ll love as much as you love them! This super cool pin is so adorable. It’s perfect for the knitter you love. A heart shaped pencil that can be used for sketching, journalling or even writing love poems! This pom pom maker has a twist, it’s heart shaped! Brilliant for making garlands. If you’ve got money to spend, a few metres of this beautiful rose print velvet, would make a stunning dress. A super pretty case filled with candy pink crochet hooks is both useful and fun! Spread the love for quilting with this pattern book filled with heartfelt homeware projects. A scrapbook is perfect for preserving special memories and this one can be personalised to make it even more unique. For a subtle gift, why not give a few balls of Wendy With Wool Super Chunky in the shade ‘Valentine’! Add a little love to all the handmade projects by sewing on one of these wooden buttons. For papercraft lovers, this heart shaped punch will remind them of you, everytime they use it! For other gift ideas, why not have a look at the Craft Kit Gift List.